The upper house of parliament in Afghanistan has withdrawn its support for a death sentence issued against a journalist convicted of blasphemy. 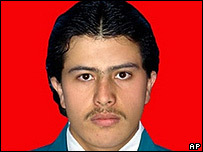 Pervez Kambakhsh, 23, was found guilty last week of downloading and distributing an article insulting Islam. He denies the charge. Legal experts said that the senate's support for the sentence on Wednesday was unconstitutional. The UN said that Mr Kambaksh was not legally represented during his case. Critics say that the senate's intervention interfered with the judicial process. The senate has now backtracked, one day later. Its secretary, Aminuddin Muzafari, told journalists its statement had been a "technical mistake". He asked the media to make it clear that the senate did respect the legal rights of Mr Kambakhsh, including the right to a defence lawyer. But it also said it approved the judiciary's prosecution of cases involving what it called the distribution of anti-Islamic articles. 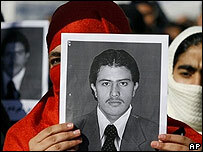 As the statement of support was withdrawn, about 200 Afghans demonstrated in Kabul against the sentencing of Mr Kambakhsh. A court in the northern city of Mazar-e-Sharif convicted him of downloading and distributing a blog article which questioned the Koran's attitude to women. Mr Kambaksh is appealing to higher courts against the death sentence. His family say his trial was unfair because, among other things, he was not given a defence counsel. But the governor in Mazar-e-Sharif says the case is being handled with due process. The earlier senate statement supporting the death sentence was signed by its leader, Sibghatullah Mojaddedi, an ally of President Hamid Karzai. The president would have to approve the death sentence for it to be carried out.